Las Vegas. Arkansas. Memphis. Cancun. California. Texas. a poker player running from his boring life and headed for trouble with a lonely stripper, a naive school teacher, and a street-smart housekeeper. He believes he has convinced all three women to end their unplanned pregnancies before he returns home. Riddled with guilt, Ace finds redemption and a fresh start. Abandoned by Ace, each woman gives birth to a baby girl. ​The girls meet at college, and their friendship remains steadfast through marriages, betrayal, and loss of life. While considering a run for public office, Ace fears his secrets will be exposed when he meets the daughters he never knew existed. Discovering the shocking past that connects them all will bring the young women face to face with the father who never wanted them born and profoundly affected their mothers' futures. Now Ace is in desperate need of something only the daughters can provide. An alibi. A hero. A donor. Proceeds from the sale of All In For LIfe will be donated to Central Texas LifeCare to assist women with unplanned pregnancies. 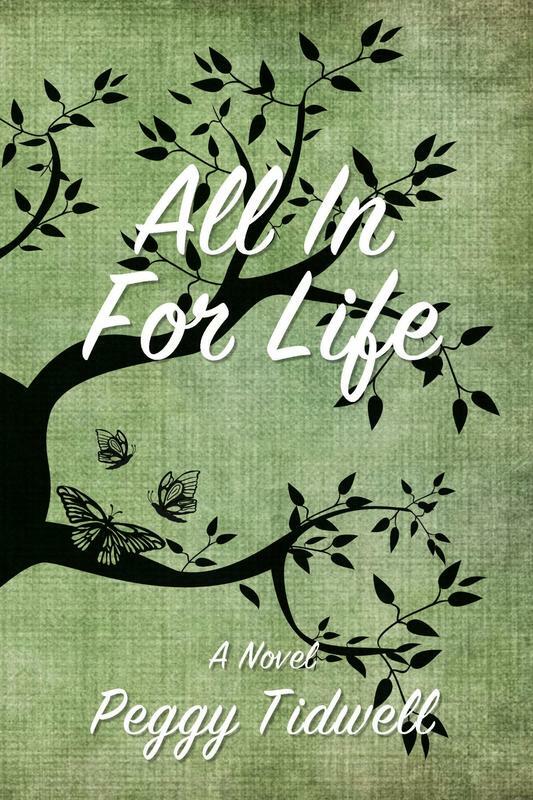 Proceeds from the sale of All In For Life will be donated to "Lydia - A Beating Heart" in Macedonia to love, support, and assist women facing unwanted pregnancies, post-abortion trauma, or other family-related crisis.